Accentuate favourite features, create defined contours for added depth, or simply enhance your natural bone structure with our Real Techniques Collectors Edition Sculpting Set. With the use of light and dark makeup shades, this set gives you the flexibility to transform your look. 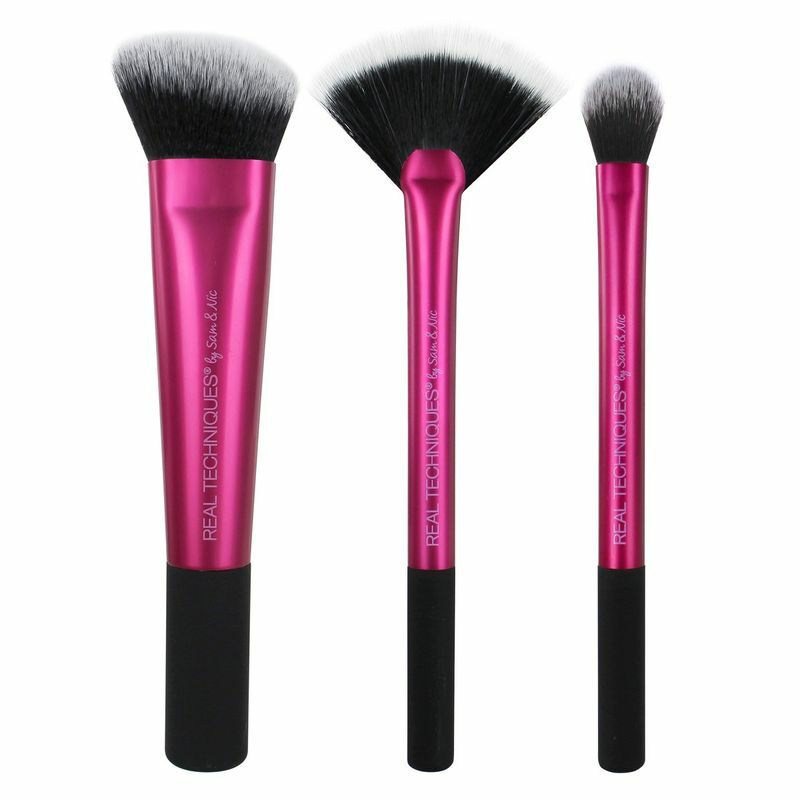 Sculpting brush: Features a wide, angled head specially designed to help create defined contours. Fan brush (set exclusive): Softly sweeps on powders whisks away any excess makeup for an even finish. Setting brush: The key to completing any look with a controlled dusting of powder or highlighter.